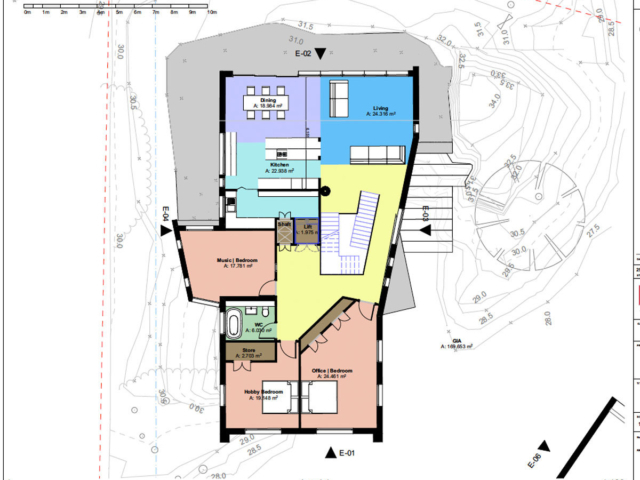 In late 2016 after watching Allan deliver a talk at the Homebuilding & Renovating Show, Phil & Lynn contacted ACA to discuss the options for their recently purchased plot. 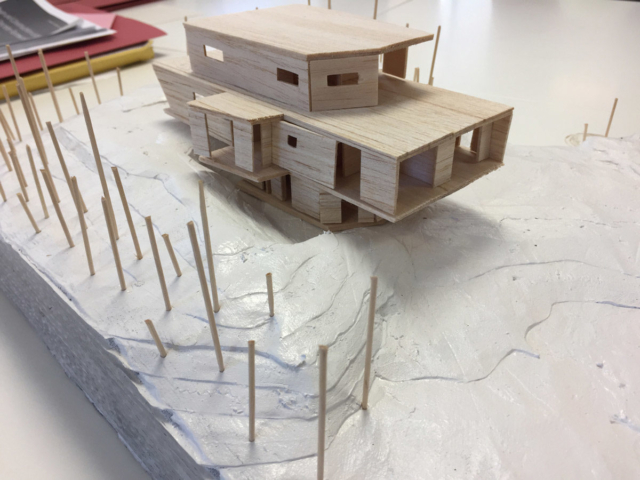 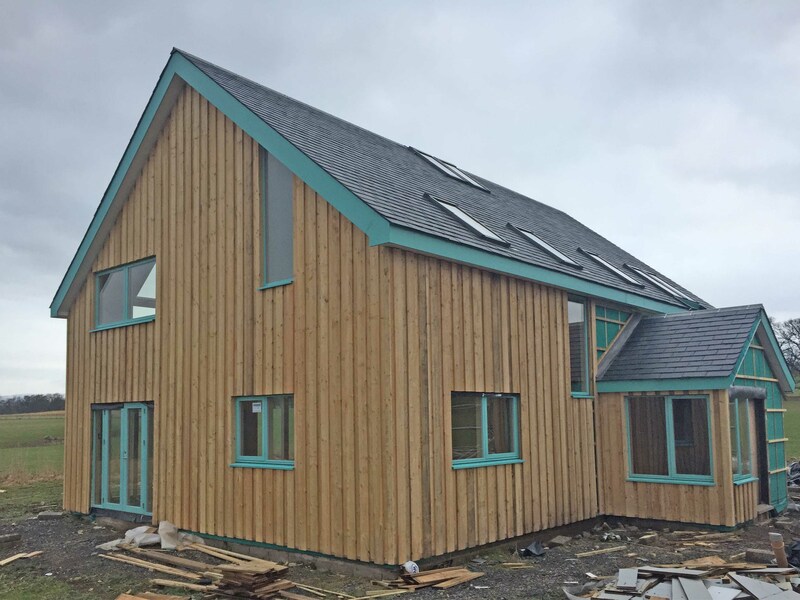 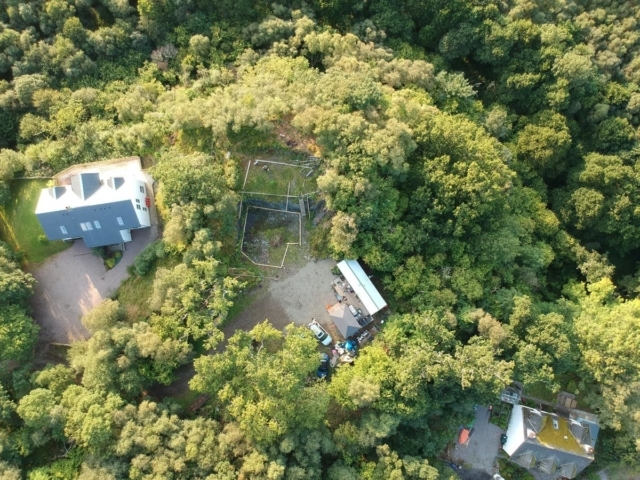 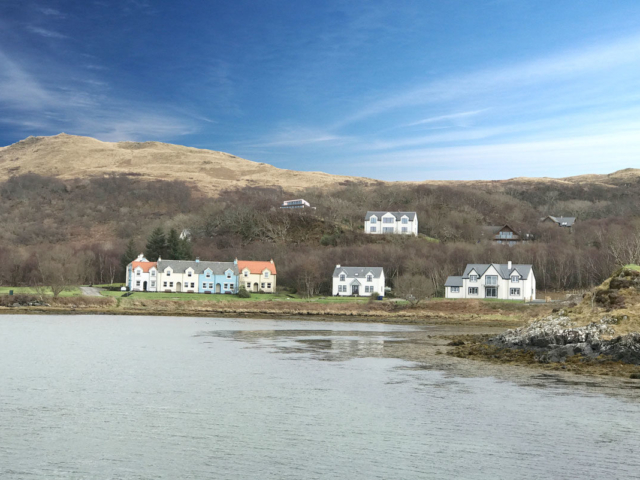 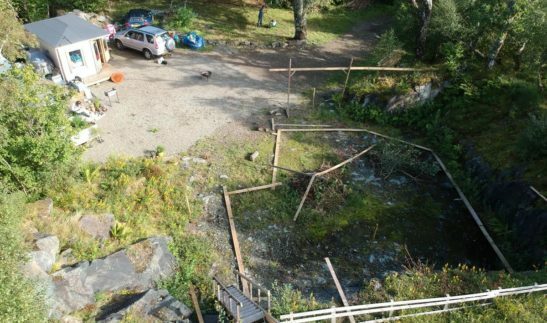 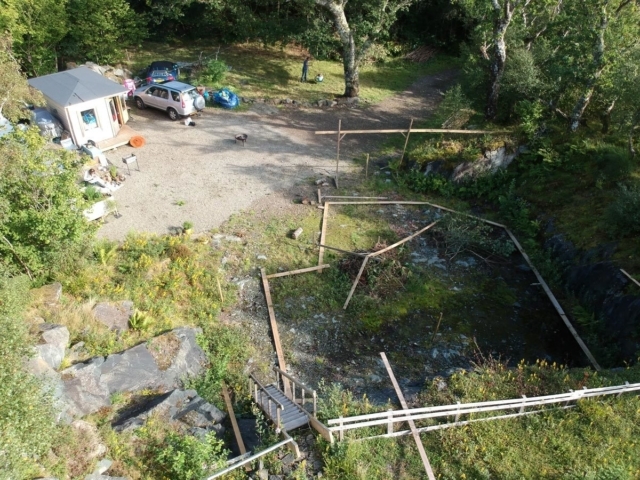 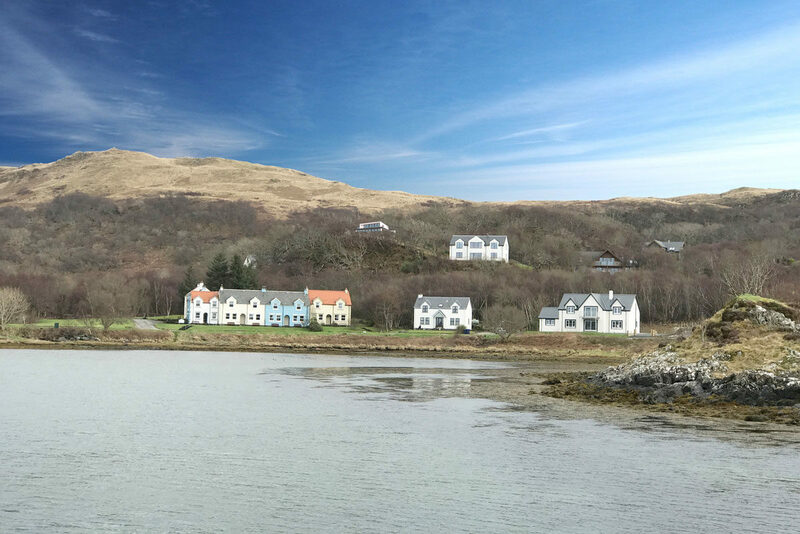 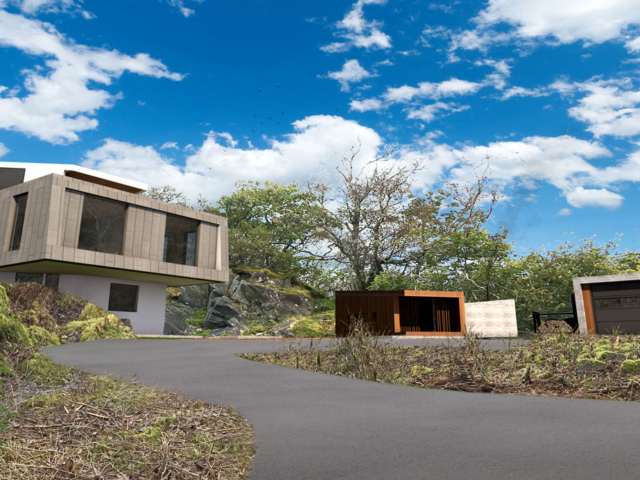 The plot in question is located in a quarry overlooking Jura, high on a hill on the West Coast of Scotland – where they plan to build a contemporary Self Build eco home. 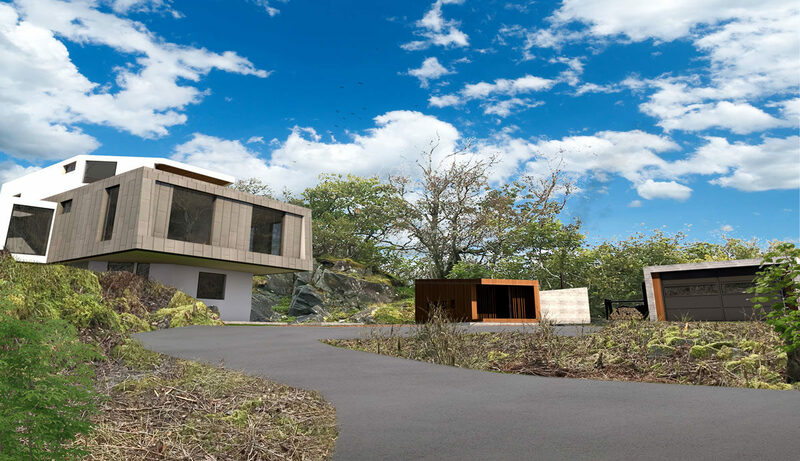 After interviewing numerous architects they committed to working with ACA, who immediately started designing contemporary designs for this striking rocky site. 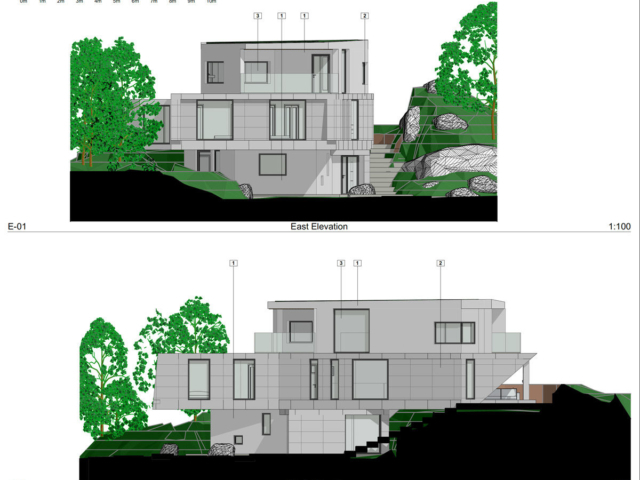 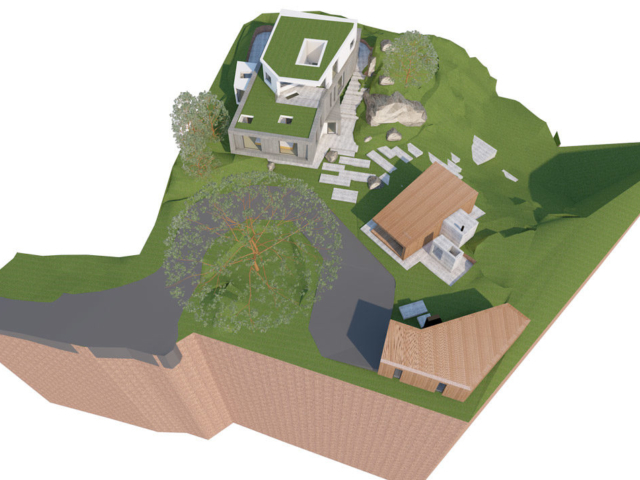 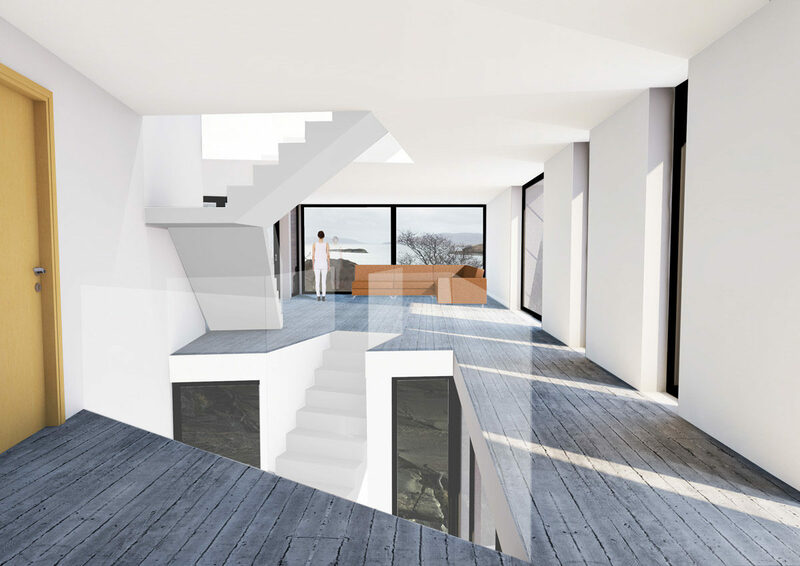 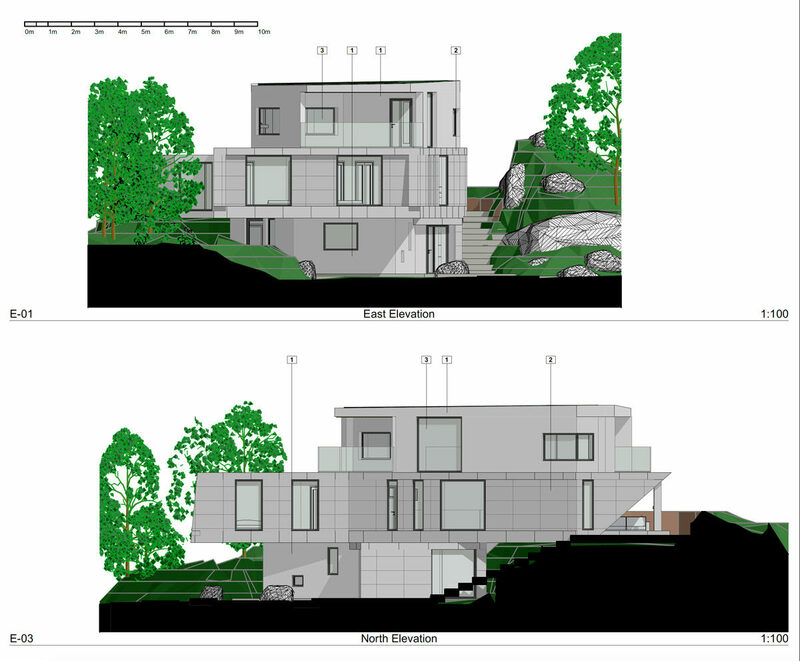 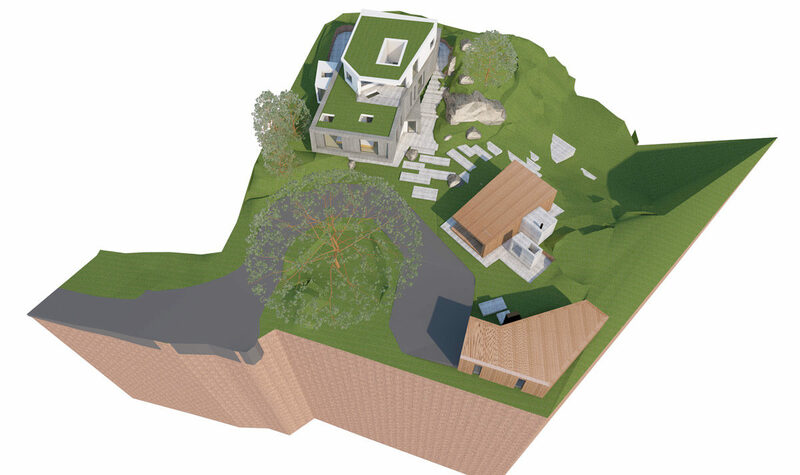 As the plot is built into a cliff, the house proposals would be split over 3 floors, looking out over the islands. 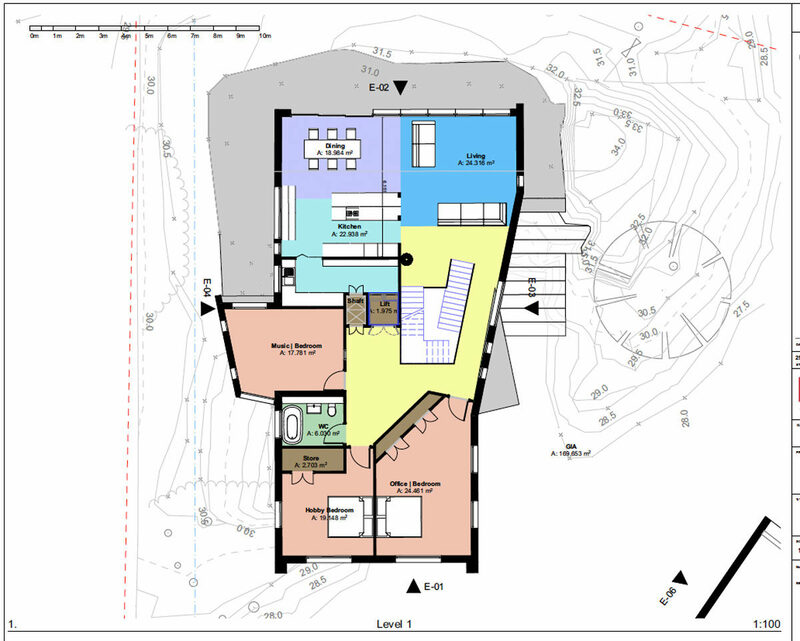 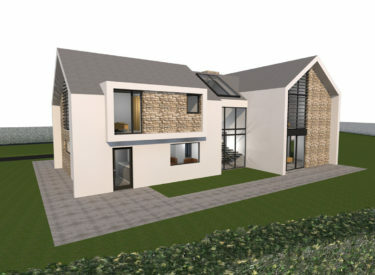 The ground floor of the home has a triple height entrance space, guest bedroom and storage. 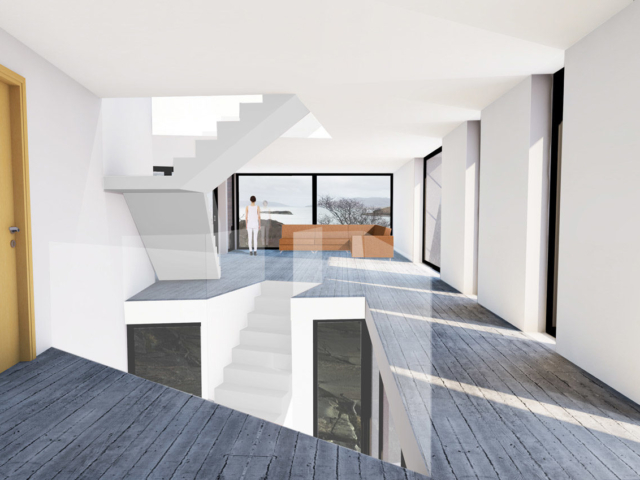 The first floor, which sits on the quarry floor, has the main open plan living area with outdoor seating. 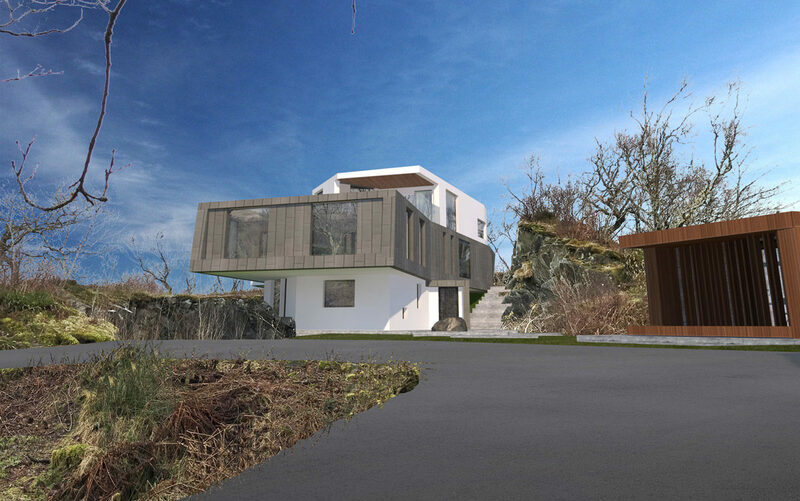 On the top floor, the master bedroom suite has a prime view out to sea and large private balconies. 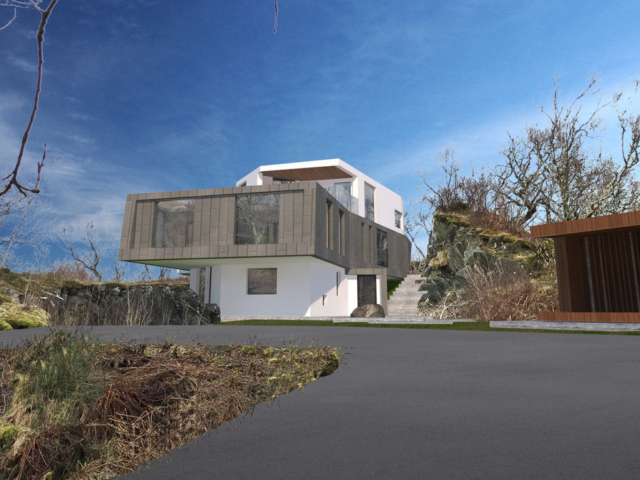 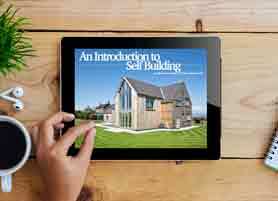 The exterior of the home features lots of glazing and a mixture of render and metal cladding. 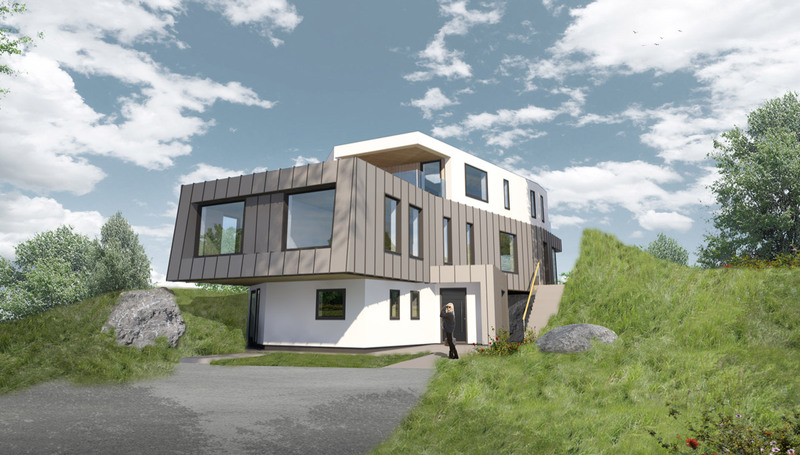 The main feature of the aesthetic is the large overhanging cantilevered middle storey. 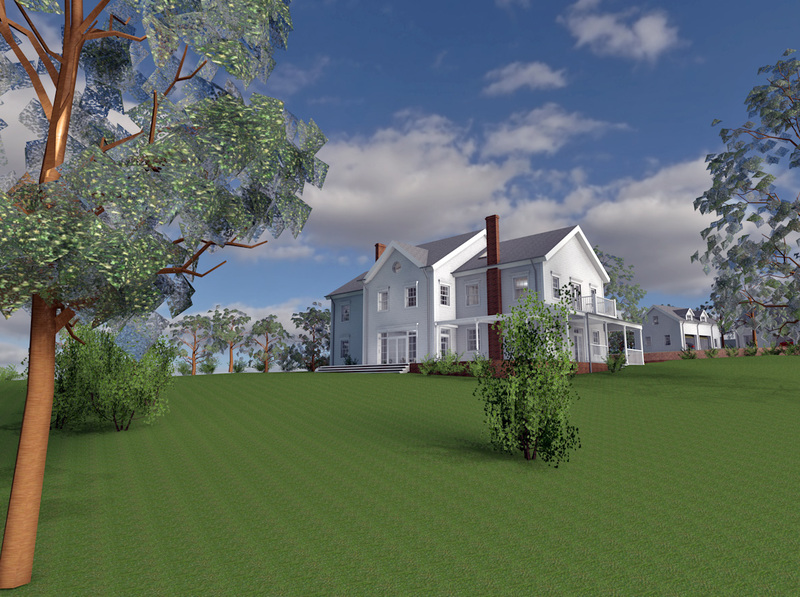 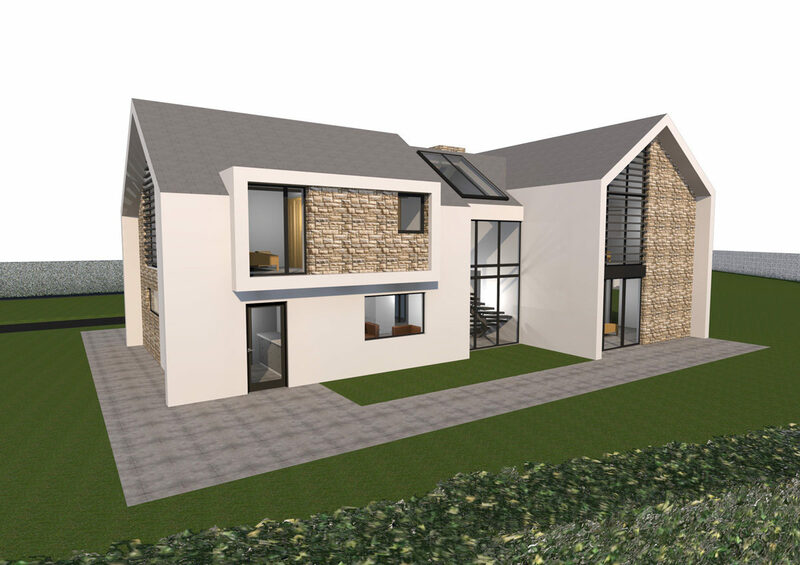 The house was submitted for planning in late 2017 and received formal approval in April 2018. 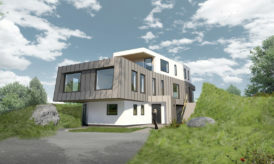 The house is intended to exceed higher energy efficiency standards than those described in the Building Regulations, through utilising Passive design principles and incorporating a range of low carbon technologies.